We are in the midst of a period known to gardeners and beekeepers as the June Gap. Both of our gardens have become a sea of green, caught in limbo between the fading flowers of spring and the first blooms of summer. I love this time: everything appears so fresh and vigorous, with the anticipation of colourful flowers and tasty fruit just around the corner. Hostas and lettuces remain unnibbled, the first tomatoes are setting and flowering plants are covered in promising buds. No time yet for greenfly, vine weevil and mildew to mame, chew and fog the garden’s emerald mantle. I want to dive in and wallow amongst the cool greenery, ruminating quietly like a hippopotamus in a swamp. 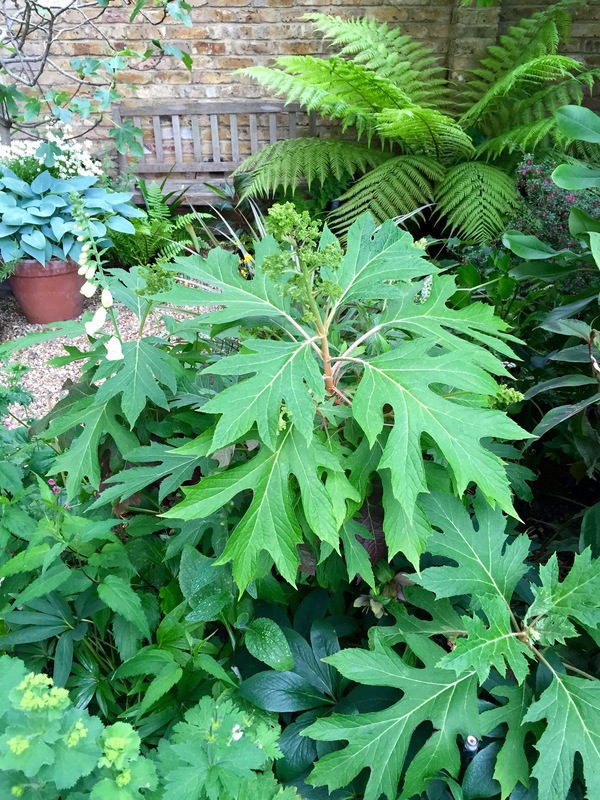 Luxuriant foliage is all well and good, but it’s bad news for honey bees. A dearth of pollen and nectar can spell disaster for hives which are at their fullest and busiest during June. Until today most of the UK has been experiencing night temperatures in the low single figures. 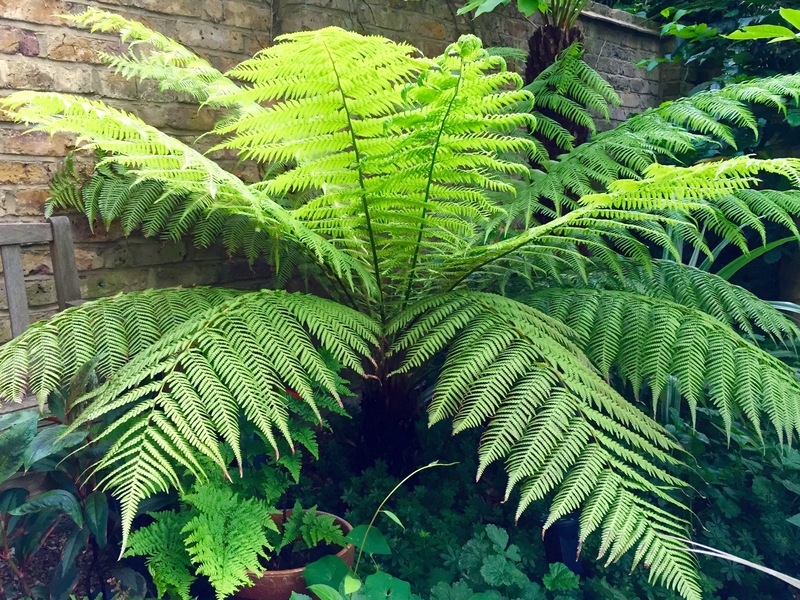 This suits ferns like Dicksonia antarctica (above) but not shy annual flowers that crave summer heat. All is not lost: even during a cool month certain plants can be guaranteed to bridge the June Gap and ease the pollen drought, not least foxgloves, Rosa rugosa, Clematis montana, osteospermum, Centranthus ruber, astrantias, honeysuckle, hardy geraniums and echiums (should you have room for something a little more exotic). Single flowers are a good choice because their nectaries are more easily accessible to hungry pollinators. A broad wash of green is hugely flattering to most colours so there’s less need to worry about clashes now than in high summer. Because the days are longest in June, I tend to plan for lots of white so that I can enjoy the blooms late into the evening. The predicted warm (dare I say hot?) weather will quickly set bedding plants, herbs and wild flowers racing to attract their flying friends and the June Gap will soon close over. I will miss my sea of green, punctuated here and there by the high sails of foxgloves and the foaming whiteness of nemesias. The bees will not; they are looking forward to July’s sweet bounty. I was out trying to take photos today and all is green here as well. 🙂 If there was a support group for Hosta gardeners, I’d be a charter member. I can picture myself standing in front of the group, head down a little, saying, Hi, my name is Judy and I’m a Hosta addict. I love Patriot and the blue one in the pot (can’t remember the name). 🙂 Go green. I can’t think of a single other context in which the term ‘bog-standard’ could be applied to that shade of pink. I have ‘Patriot’ too, but it looks a lot more forlorn than your wonderful specimen, having been rather blown about and torn in high winds. You can’t have too many hostas though, and I do like the look of ‘Halcyon’. It goes tremendously well with the London stocks. 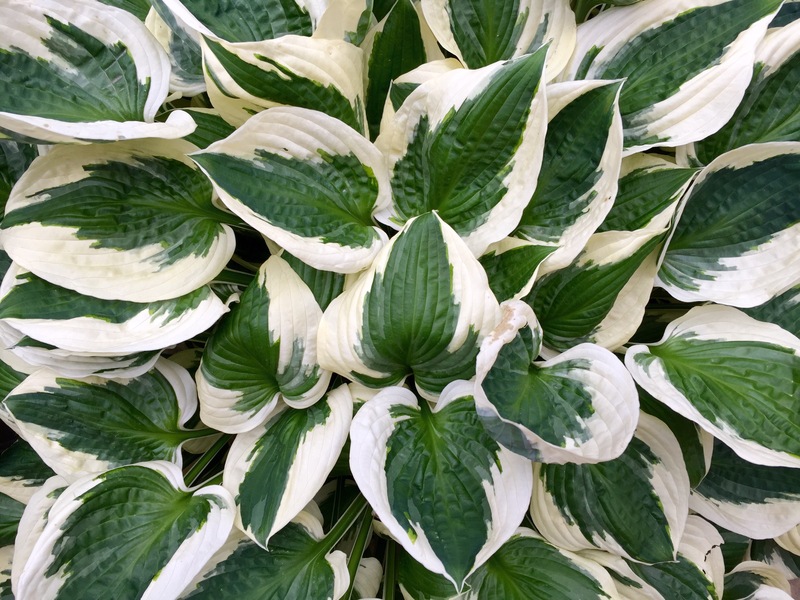 Perhaps instead of a support group, you could start a hosta timeshare syndicate where different potted hostas are circulated among the members every year, meaning everyone can enjoy new varieties without the need for more gardening space. What wonderful leaf shapes. Is that vietnamese coriander next to the hydrangea? I sympathize about the foxgloves, as my Gladiolus colvillei ‘The Bride’ came up pink! The Dicksonia antartica is stunning! June is a funny month here in Houston…this one is wet and the flowers that wait for long hot sunny days are in stasis. I do love this stage of (near!) perfection! Lush! 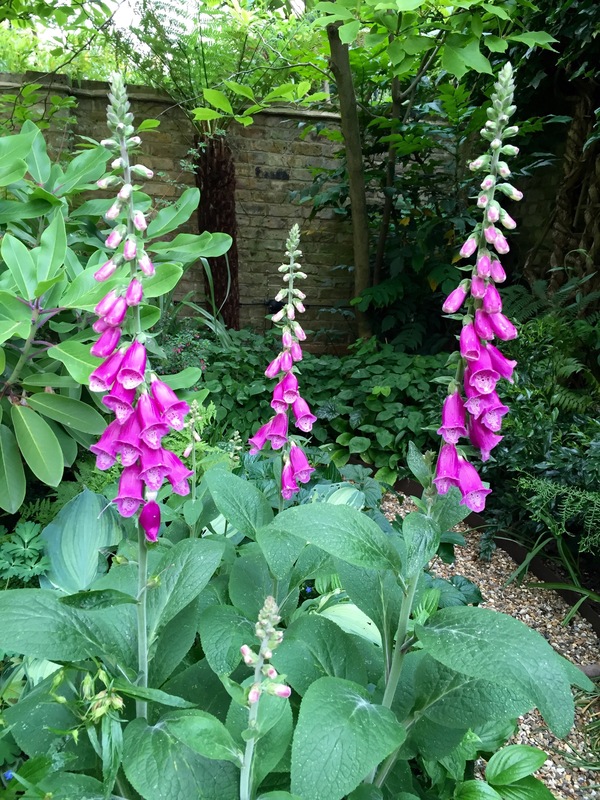 Foxgloves are so fickle, aren’t they? Pink or not, those foxgloves look pretty impressive ! As do your hostas.It is a lovely time of year and ‘wallowing like a hippo’ is just what I feel like doing !